There's nothing like holiday sketching. Everything is inspiring and new. There is more time for play and a strong incentive to record the memories. 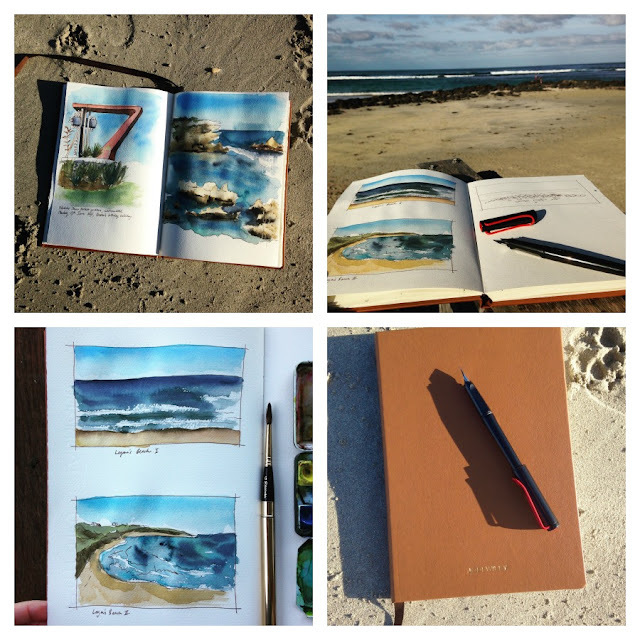 I took my The Perfect Sketchbook away to Port Fairy last weekend and there was no shortage of subject matter. 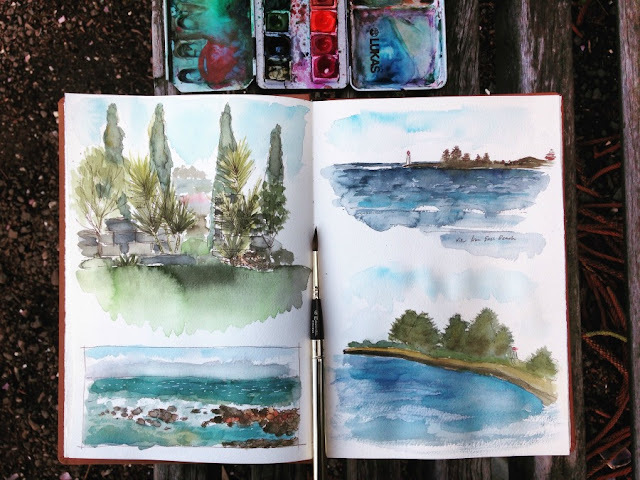 I'd been a little apprehensive about starting this sketchbook because the paper is so lush but I'm glad I did because it's beautiful to work on. It takes heaps of water - little to no buckling - and is very forgiving. While away I mostly do quick pen drawings on location and take a few reference pics to finish off with watercolour in a quiet moment or at night when the kids are in bed. I don't want to hold anyone up by dragging out the paints and we're usually on the move quite a bit with different activities. 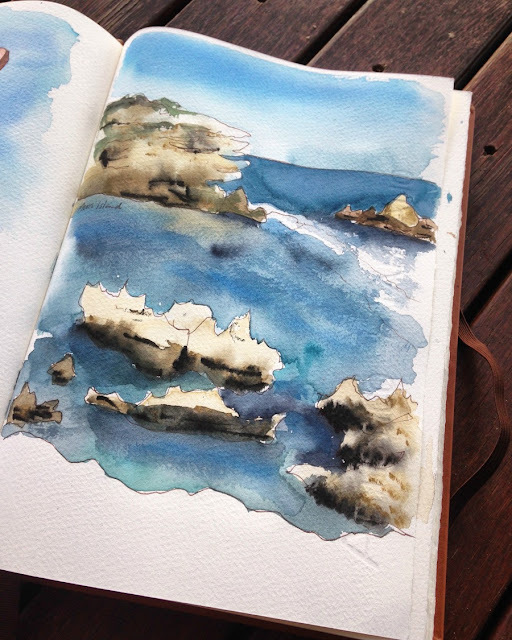 There is something about sketching and painting the sea that is very relaxing. Even in the winter. Even in the wind and cold! We got lots of lovely sun and that's all I needed to capture some beautiful views while the kids played in the sand or had a fish. 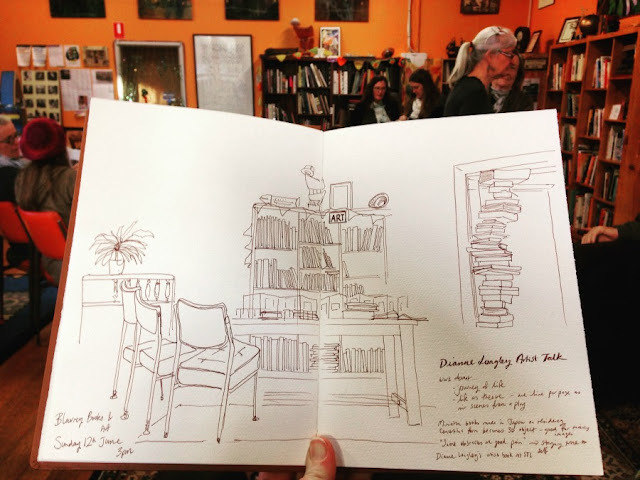 We were in Port Fairy for the wonderful annual BiblioArt Award at Blarney Books and Art which requires artists to create an artwork inspired by - and physically using - a vintage book. 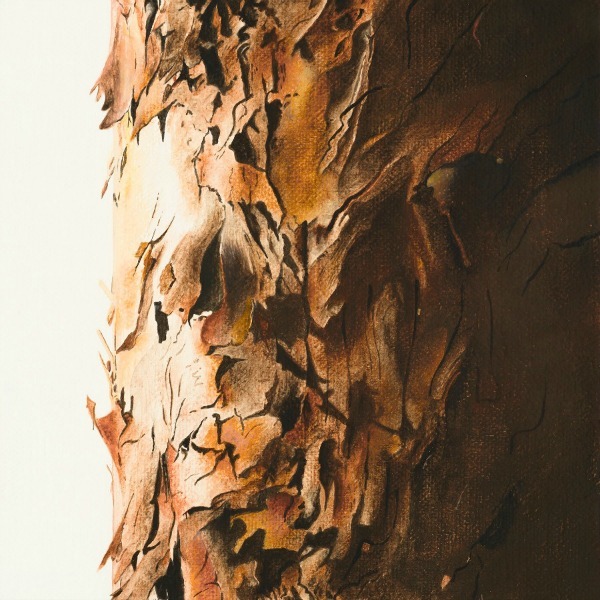 I was thrilled to hear that my work had made the shortlist and one of the judges Dianne Longley said some lovely things about it during the prize announcement on opening night. The following day Dianne gave a fascinating talk on artist books and I sketched the bookshop while I listened. 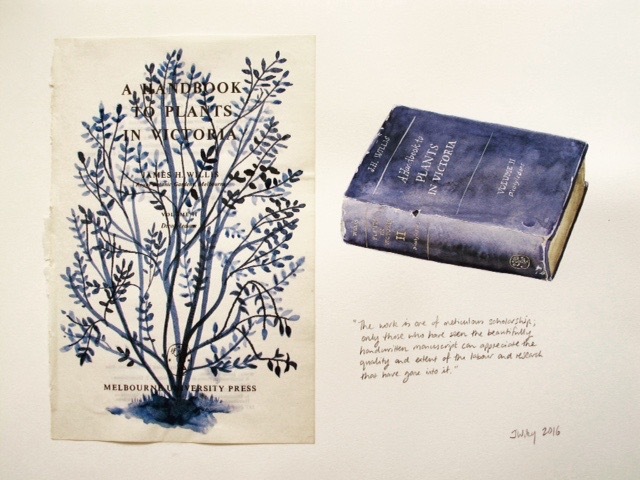 Afterwards I felt very inspired to attempt an artist book myself...one day! 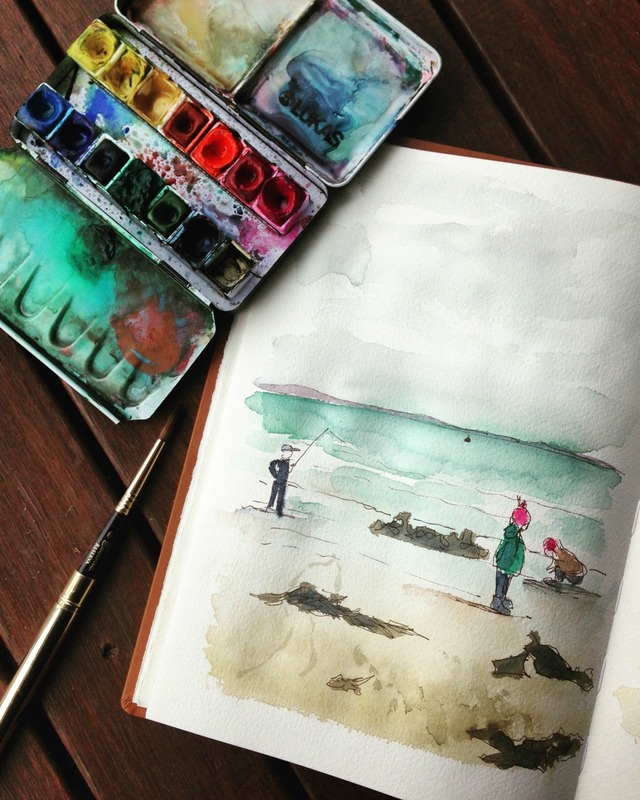 All in all it was a perfect weekend of family fun, seaside sketching, books and art.